What can we give you for free? If you spend £50 net and above with Metro Fixings, you will first of all receive your goods from us with free carraige (see here for delivery details). 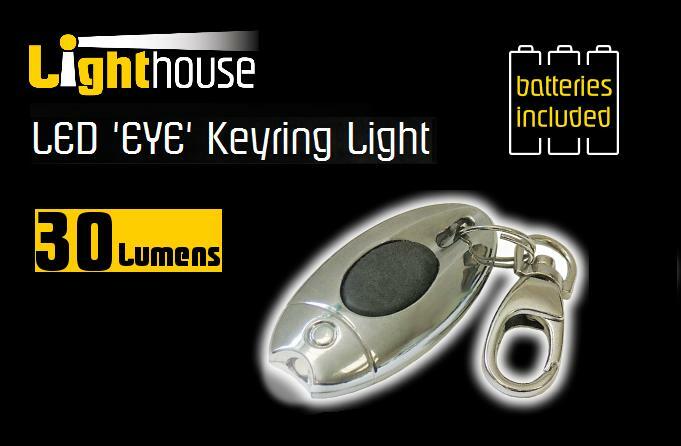 As well as free carraige, Metro Fixings will also send with your delivery a free Lighthouse LED Keyright Light, with the dark mornings and nights just around the corner, this keyring is really handy. This small LED Torch has a lightweight aluminium body and is attached to a heavy duty keyring clip This torch is small but provides a powerful bright beam. If you spend £50 net and above with Metro Fixings, you will first of all receive your goods from us with free carraige (see here for delivery details). As well as free carraige, Metro Fixings will also send with your delivery a free Lighthouse elite CREE LED Focus Torch 3AAA . 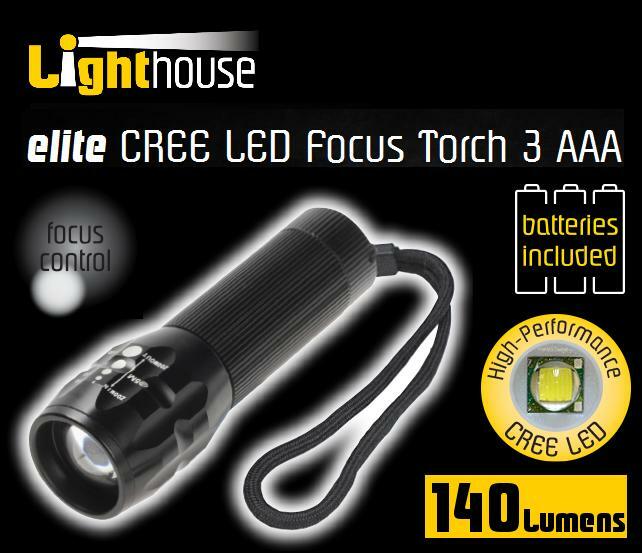 A high performance torch featureing a super bright CREE LED, focus control, full beam, half beam and strobe functions. CREE LEDs are unsurpassed in both output and efficiency with a life span of over 100,000 hours and will provide a bright beam of light for up to 8 hours from one set of batteries. If you spend £50 net and above with Metro Fixings, you will first of all receive your goods from us with free carraige (see here for delivery details). As well as free carraige, Metro Fixings will also send with your delivery a free portable tyre inflator. 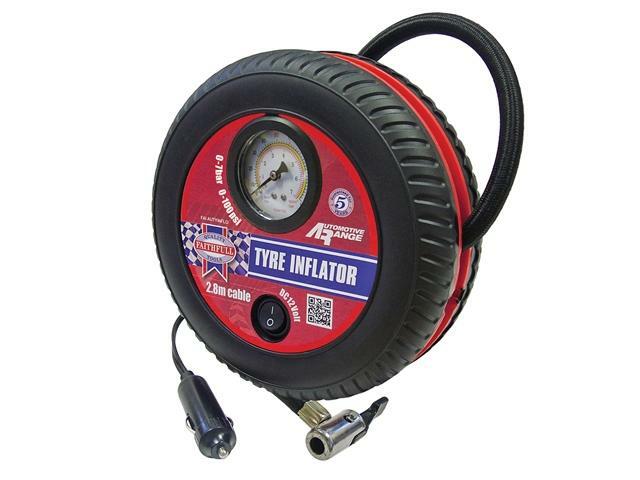 The Faithfull Tyre Inflator is a compact yet efficient 12 Volt powered tyre inflator that makes light work of maintaining tyre pressures with the minimum of fuss and is very simple to use. The Inflator can be plugged into either a cigarette lighter or any other 12 Volt car power outlet and can be used to adjust a tyre pressure or inflate a flat tyre in minutes, by operating the on / off switch. The pump heatures an intergrated analogue pressure gauge showing PSI and Bar readings and is fitted with a 60cm long rubber hose with a Schrader valve for use on all car tyres. Supplied complete with additional adapters for use with balls toys and other inflatable items. 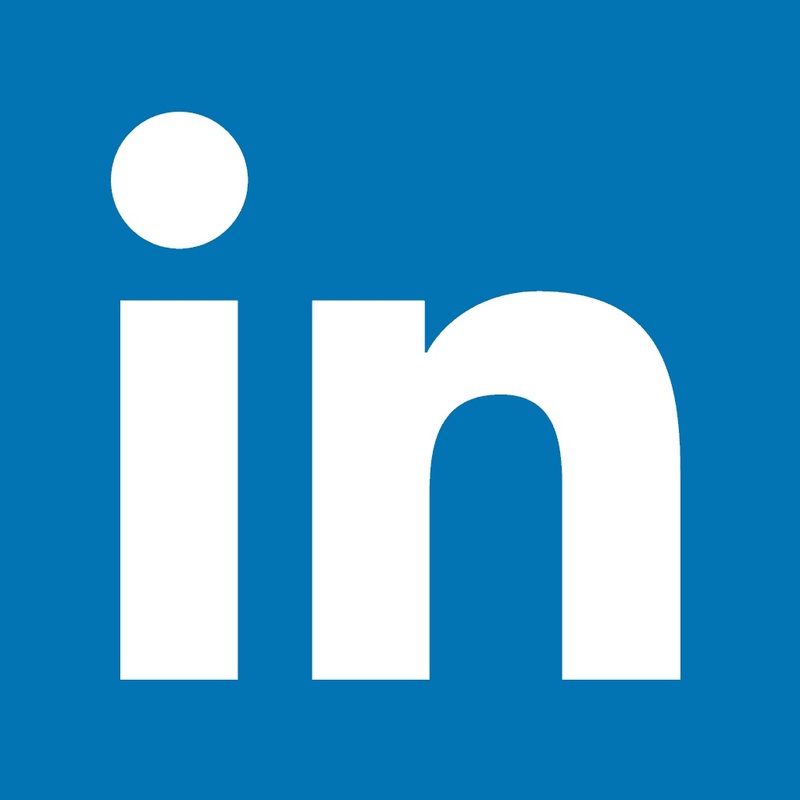 Maximum pressure reading : 100PSI / 7Bar. If you spend £50 net and above with Metro Fixings, you will first of all receive your goods from us with free carraige (see here for delivery details). As well as free carraige, Metro Fixings will also send with your delivery a free set of Presto Jobber Drills. The set is a 19 piece High Speed Steel ground flute jobber drills are supplied in a 'Select-A-Drill' style case. The case has a clear top with the drill sizes printed around the side which makes it easier to identify and locate the diameter drill that you require. This set is the ideal size to either pop in your tool box or glove box of your van/car. 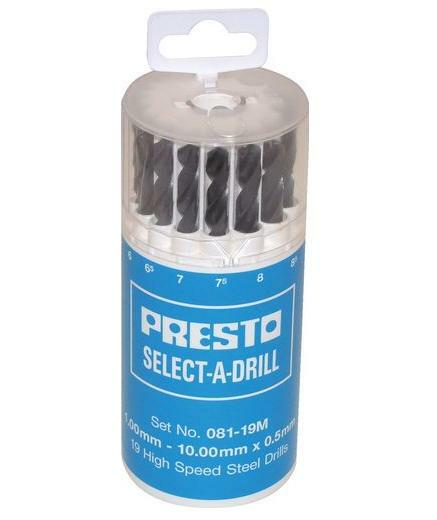 Presto 'Select-A-Drill' 19 Piece HSS Drill Bit Set. If you spend £50 net and above with Metro Fixings, you will first of all receive your goods from us with free carraige (see here for delivery details). As well as free carraige, Metro Fixings will also send with your delivery ALL FOUR ITEMS!